B.Tech/ B.E ( E&C, E.E, E&I ), M.Sc Electronics, Diploma in E&C with 2 years of relevant experience. 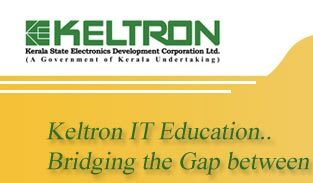 After successful completion of the program, graduate trainees will be provided ‘Post Graduate Diploma in Advanced Embedded System Design’ certificate by KELTRON ( a Govt of Kerala Undertaking ). Diploma trainees will be provided with ‘Professional Diploma in Advanced Embedded System Design’ certificate by KELTRON.